Your bridal party goes through a range of emotions on your wedding planning journey. From excitement to frustration and panic to elation, they experience it all through you or *because* of you. Offering them a token of your appreciation is an unspoken way of letting them know you appreciated it all and are psyched to have them by your side on the big day. 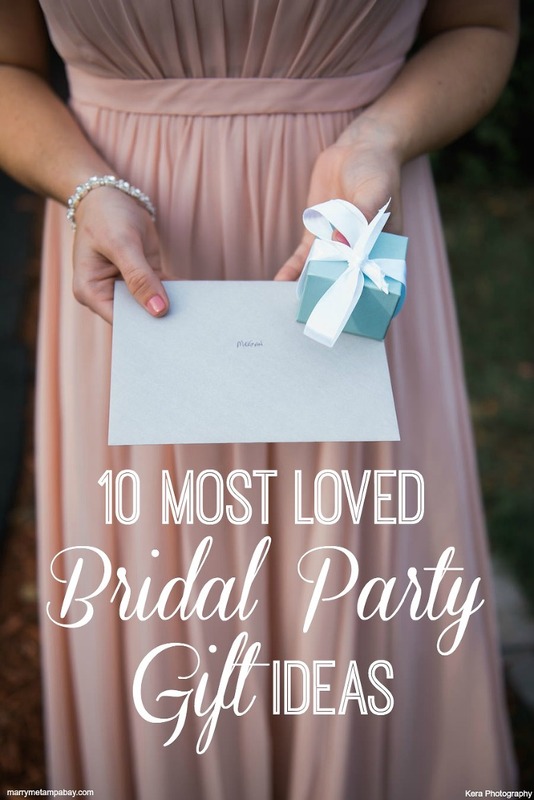 Here are our top bridal party gifts to ensure you’re not wasting those last budgetary dollars on something meaningless. Gifts should be things we don’t think to buy ourselves, and what’s more perfect than a decadent robe to wear while getting ready or on a lazy weekend. Many of our friends loved using these as double-duty on wedding day morning. The variety of metal on these delicate necklaces compliment any skin tone or style. 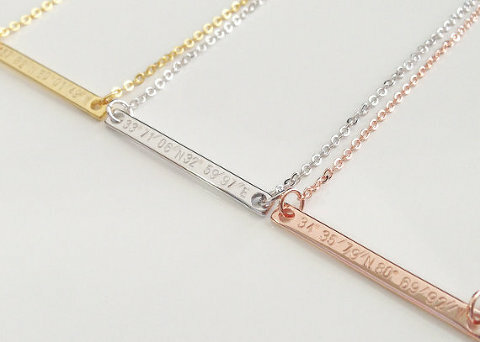 We especially love the fact that you can have them engraved with the coordinates of the location you and your friend first met. BFF4L. We all have been rocking our old college t-shirts for a little too long, so this is the perfect chance to break her out of that habit and introduce her to the world of comfy sleepwear. These light-as-air cotton sets are also able to be worn while getting ready on the big day because of the button-down tops. 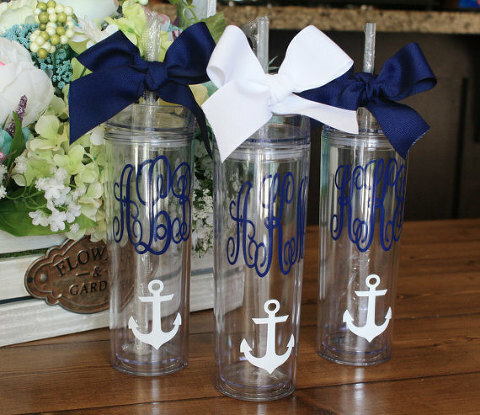 Whether she likes sipping on sweet tea or citrus-infused spa water, everyone raved about how much they use their custom tumblers! To add an extra personal touch, fill it with a nail polish you know she’d love, a set of pearl studs (timeless) or even a gift card for a post-wedding massage. These were super popular because of their versatility. This particular style has two sections – a giant main compartment, and a secondary section that is perfect for holding makeup brushes, small tubes of products or tweezers/nail scissors. YETI makes the tailgating king of coolers, but don’t forget YETI’s underrated drink ware. Quite a few dudes we chatted with are obsessed with their YETI tumbler for their morning coffee and one mentioned that he uses it for his bedside water cup. When he wakes up, the ice cubes from the night before are still totally intact! A classic gift item but still super popular and well-loved, the beer mug is the preferred mug of choice on game day. Extra points if he remembers to let it chill in the freezer the day before. The Herschel backpacks are the most practical gift item we heard of. Awesome for packing a ton of weekend essentials, these backpacks are fleece-lined and padded with a 15″ laptop sleeve. They also feature a sunglass/eyewear compartment and headphone port in addition to the front zipper pocket with mesh organizers. Another traditional groomsmen gift, this Leatherman “Squirt” model is pocket-sized and also able to be engraved. With a 25-year warranty, this is a gift that will truly stand the test of time for his truest buds. If you’re having a beach wedding, nothing will make your dudes look more sophisticated than a pair of cool shades. Warby Parker’s “Barkley” style is flattering for any face shape and come in a few different color options. Polarized versions also available.